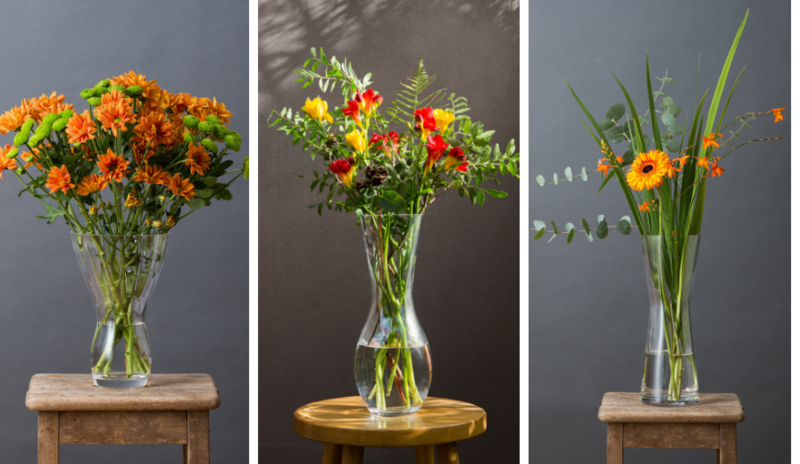 When it comes to choosing a vase to display your favourite blooms, our Florabundance Vases ticks all the right boxes. 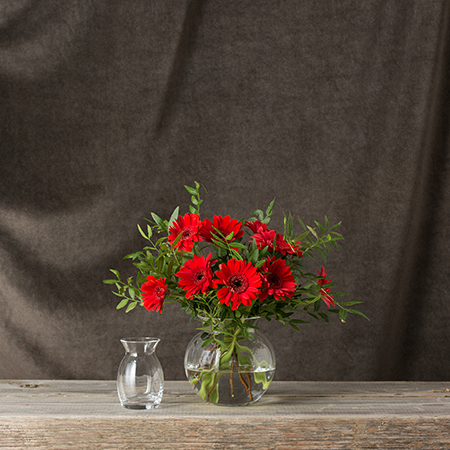 Featuring over 20 handmade, crystal vases, it is our largest collection to date. Such a large collection requires the clever design of our Head Designer, Hilary Green. Each vase has been carefully considered to suit a certain flower including some of the most popular such as roses, tulips and daffodils. They have been shaped with narrow necks to allow tall stems to stand proud or sized small and shaped wide so that smaller bouquets will fit perfectly. Some designs will support displays, while others are allowed to splay naturally over the edge. Sometimes less is more and that is certainly the case with the Florabundance Single Rose Vase which offers a narrow neck to showcase a single stem, while the round bowl and flared neck of the Florabundance Anemone Vase shows off a more vibrant display. Likewise, the flared shape of the beautifully balanced Florabundance Carnation Vase helps to hold slender stems in place. That doesn’t mean to say, your Florabundance Gladioli Vase can’t hold a few sprigs of eucalyptus mixed in with some spray roses, though. 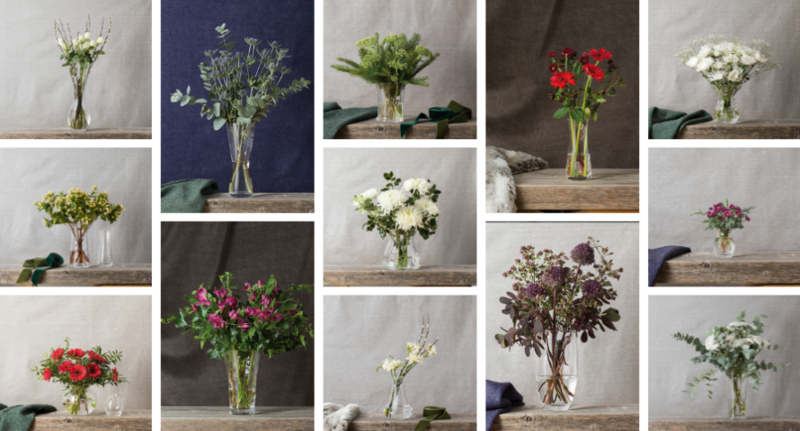 In fact, the photos in this blog feature winter alternatives to typical spring varieties making Florabundance a year-round go-to for displaying your bouquets. 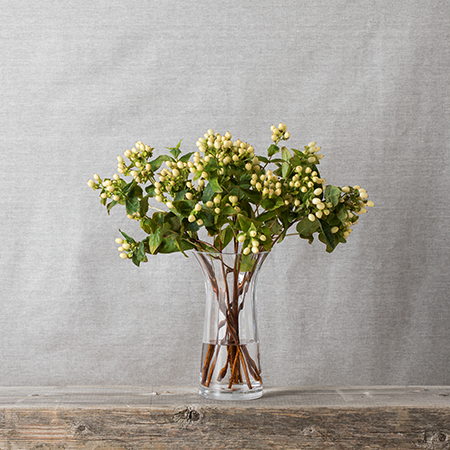 Gifting Florabundance means you can really show how much you know someone by buying a vase perfect for their favourite bloom. Not only that, but all of our crystal vases in this range can be engraved so you could add a really special personal touch to your gift. Do you use Florabundance in your home? Show us how by using #MyDartington when you share your photos on Instagram and we will choose our favourites to re-post on our feed @DartingtonUK.